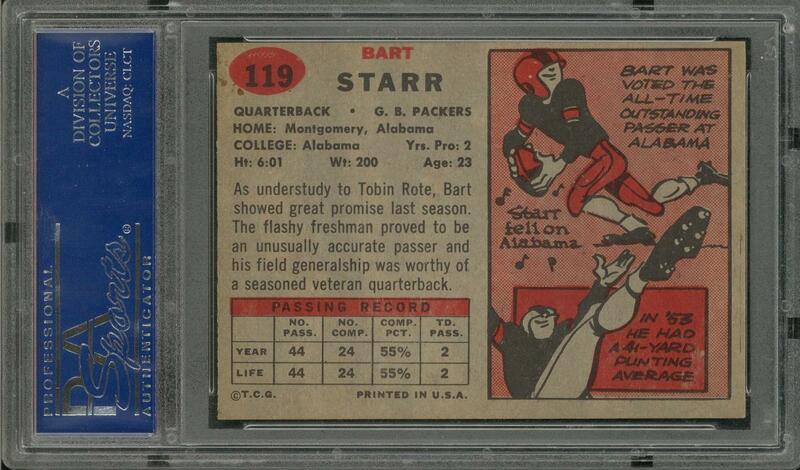 Graded NM 7 by PSA. Hall of Famer, in his debut gum card appearance. Among more than 1,650 copies recorded in PSA's census reporting, well under ten percent have been placed at a higher tier. 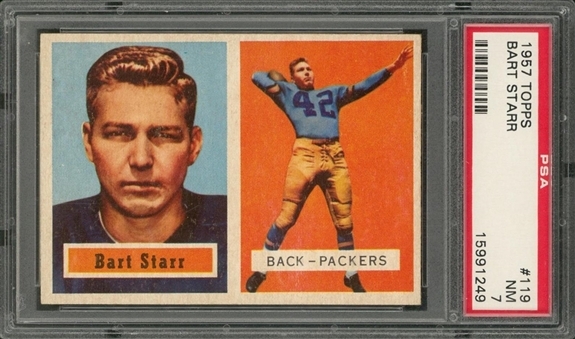 Touched by the Packers' legend, further blessed by its subject's humble greatness and graced with solid quality in terms of preservation. 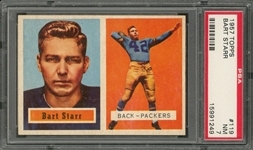 That's a fair description in a single sentence of the offered rookie card, a super specimen of Bart Starr's first-year collectible from the 1957 Topps issue's scarcer "high number" series. This card delivers enticing surface gloss and a fresh presentation of its production's memorable portrait/action dichotomy. Near Mint condition.